This is an interview about the new Archaon release, 'Archaon: Lord of Chaos', taken from the Black Library Blog. 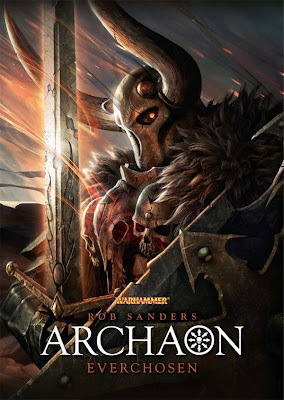 "Today we catch up author Rob Sanders about his new novel Archaon: Lord of Chaos. He’s answering all our questions about Warhammer’s ultimate villain Archaon and his path into damnation. Tell us about the story of Archaon: Lord of Chaos (No spoilers, please). Archaon: Lord of Chaos continues the dark quest of the ruinous warlord Archaon to become Everchosen of the Chaos Gods and bring about the apocalyptic End Times. Archaon is obviously a bad guy in the Warhammer setting (THE Bad Guy). How did you make sure he still came across as a compelling protagonist? Everyone knows Archaon to be one of the most devastating characters in the background. Archaon: Everchosen and Archaon: Lord of Chaos shows how such a deadly warlord is crafted by dark fate. Archaon is not just a Chaos warrior favoured by a dread power or risen to bloody prominence. He never chose the dubious honour or the expectations that have been thrust upon him. He despises the Chaos powers and their daemonic servants as much as hates Sigmar, the god he feels abandoned him. Archaon will be neither heretic to the people of the Empire nor puppet of the Dark Gods. How has Archaon's character evolved since the first novel Everchosen? Archaon has learned a lot since his adventures in Archaon: Everchosen. His story arc takes us from his fateful birth to the days of dark destiny. Archaon’s story is truly epic, stretching not only across the extended lifetime of one of the most deadly characters in the Warhammer World but also across the surface of the world itself. 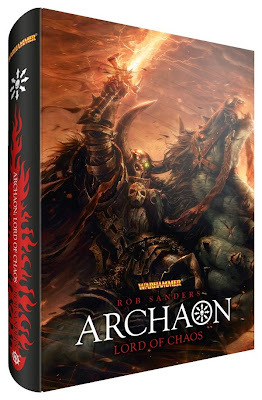 Archaon’s travels take him to places that readers have never seen: the squalid lands of the Old World, the eternal battlefields of the Northern Wastes, the daemon-haunted realm of the Southern Wastes and through the Chaos Gates themselves. As he travels, Archaon grows not only in physical prowess but learns what it takes to be a tyrannical warlord at the head of the largest and most monstrous Chaos army anyone has ever seen. Archaon has plenty of enemies. What foes can we expect him to face in this story? Archaon is beset on all sides by enemies. The armies of the Old World stand before him at sea on the decks of their ships and on land, protecting their borders from invasion. The warriors, creatures and monstrous servants of Chaos are all on their own dreadful paths, attempting to win favour and accrue power. The daemons of Chaos fight Archaon for his very soul. Other Ruinous champions and sorcerers, who would also call themselves ‘Everchosen’, meet Archaon on the field of battle, army to army and blade to blade – hoping to strip him of his treasures and his destiny. 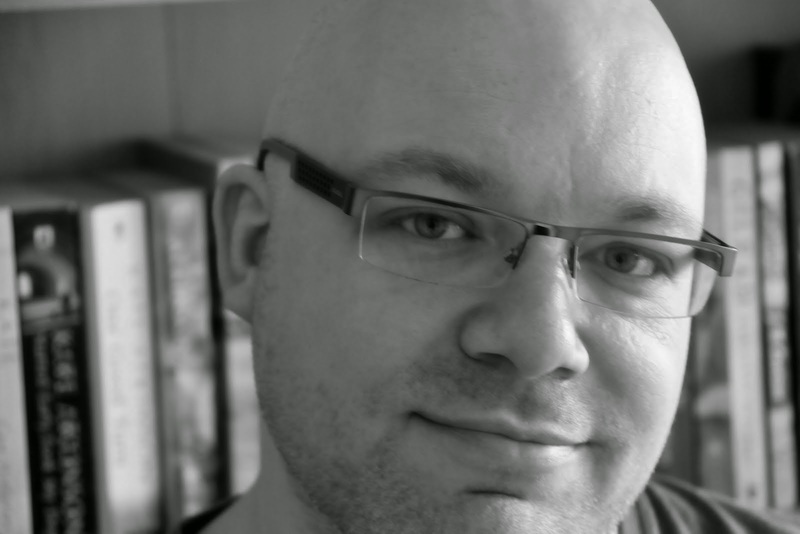 The daemon Be'lakor plays a big part in the novel: tell us about him. Archaon is a dark and unstoppable force. The same can be said for his sworn foe Be’lakor. While the Dark Master wields great power, he has been hobbled by the Chaos gods for his boundless daemonic ambition. While both Archaon and Be’lakor are Ruinous threats to the Warhammer world, they are both victims of the Chaos gods, who have suffered immeasurably at the hands of the Dark Pantheon. Be’lakor might view himself as puppet master and fool himself into thinking that Archaon is his puppet but the two characters are heading at full speed towards one another on the same track. It is a conflict that can only find resolution in the titanic, mountain-shaking clash of Chaos warlord and his daemon master. -You are enjoying the ‘Warhammer: End Times’ series and want to see where the ‘End’ begins, in the company of the original ‘Lord of the End Times’ himself. 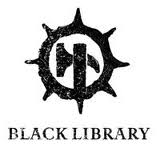 As well as your Archaon novels, you're also known amongst Black Library readers for your Horus Heresy fiction. But who would win in a fight between Archaon and a primarch? Going to upset some folks either way on this one! I think it has to be Archaon. Think about it this way. All of the traitor primarchs were primarchs like their loyalist brothers before they turned to Chaos – and yet they still turned. They were the princes of the galaxy, the generals of colossal armies and the product of genetic engineering that bestowed upon them incredible gifts and abilities. Yet still about half of them turned to the Ruinous Powers. As the Everchosen of the Chaos gods, Archaon is ruin incarnate. He is chosen of all Chaos, not a single power like many of the favoured traitor primarchs. Check out the harbinger of the End Times’ rise to power in Archaon: Lord of Chaos available in hardback and as an eBook. And if you want to read more of his fall from grace, read the prequel Archaon: Everchosen. “Mortals are free to do as they will. The gods give them no choice.” "